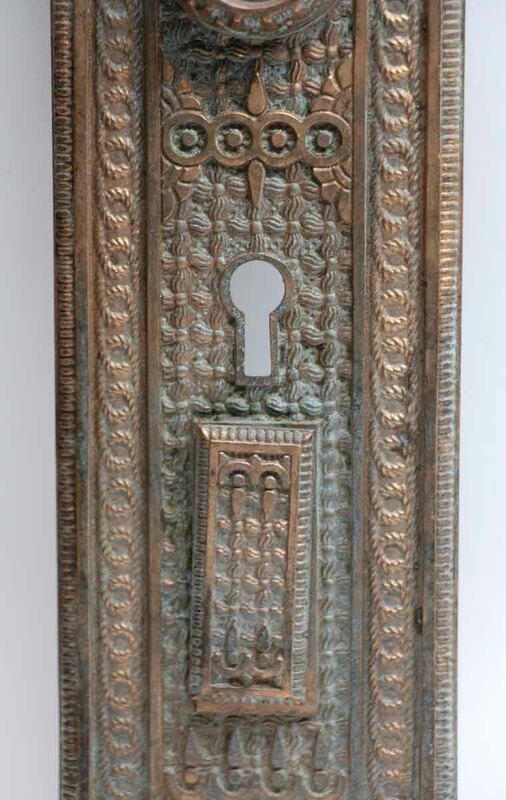 Bronze back plate with a lighter patina and two keyholes with one keyhole cover. Inscribed 1254N. 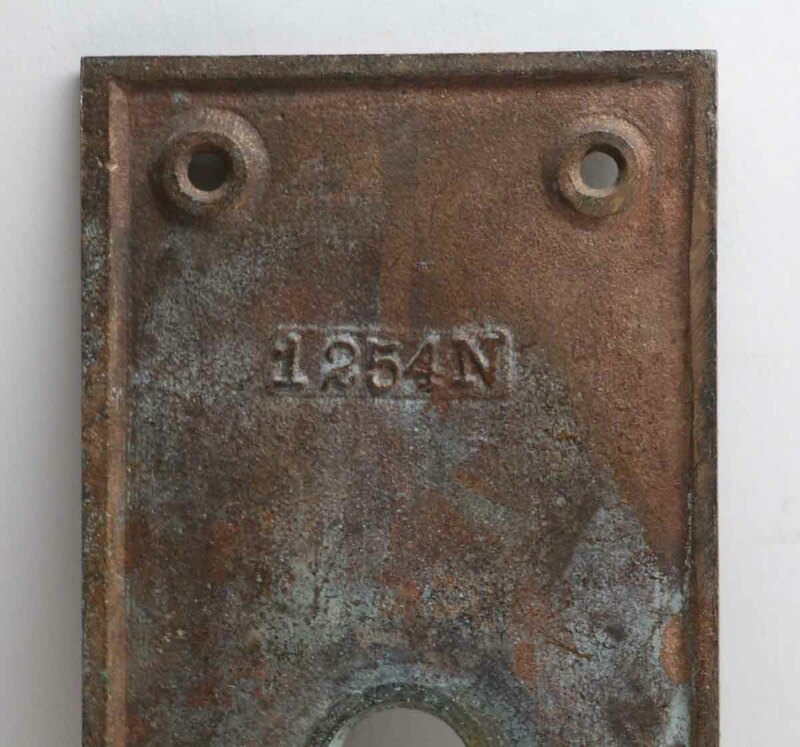 Matches N255859. One available.